come night time, they light up the restaurants and bars in the colonial area. Travelers missing a taste of home will want to go to Blue Pumpkin. ill advised. Its location in the tropics means that the city is hot all year, with temperatures sticking around 85-95F (29-35C), but November through March are much drier than others. Yes, this is high season, complete with higher hotel prices and crowded tourist sites, but visiting during the rainy season is never a safe bet if your travel plans include doing anything outdoors. Awesome town in Northern Cambodia. Accommodation for all types of travelers. Night bazar that will surely amaze anyone. Great restaurants at affordable prices. Siem Riep is a backpackers destination. With tons of hostels and night life, any backpacker is sure to make friends in this city. Angkor Wat is a must see, just keep in mind it can get uncomfortably hot so either go early morning or later in the evening. Incredible concentration of world class temples. But not only as there are more and more activities, like massage, bike tour in the countryside, visit of workshops, cooking or cocktail classes, excellent restaurants, etc. Bring water and prepare for a long walk... be sure to visit nearby temples like bayon and others..
Siem Reap is a major attraction for tourists because of Angkor Wat. Lots of inexpensive hotels there and also very easy to book day tours to Angkor Wat. Siem Reap is great, but to see the real Cambodia you need to go to the countryside! Beyond Unique Escapes and Grasshopper Adventures run fantastic tours that give you an insight into this without just wandering around directionless in the Cambodian countryside. If you’re energetic and sporty, then a mountain bike tour with Grasshopper is the way to go, there are different tours but the one I did was a half day countryside trip – we cycled around the outskirts of Siem Reap and went to a local market for fruit (and I bought some sticky rice snacks, they are the best!!). We also visited a crocodile farm which was interesting, if a bit scary and cycled past many duck farms. We went to the lotus fields and ate some lotus seeds together. It was a really great day out. Beyond Unique Escapes do a full day tour, with variable activities and also lunch cooked in the village, it’s an intimate experience, however, you probably want a Khmer speaker with you to help make the experience feel more comfortable. Siem Reap is one of the most under rated travel destinations, in my opinion. This area can easily be seen and enjoyed in 3-4 days. The temples are remarkable, the city center/Pub-Street is loads of fun and great shopping, and the villages outside the city limits are fascinating and thought provoking. Definitely a trip worth taking if you're in SE Asia. This should be on everyone's bucket list. The majestic architecture of the Khmer empire is really a sight to behold. And they are everywhere this town of friendly and courteous people. There are cheap dining, cheap spas, and cheap shopping everywhere. Pick a cool month to visit as it could get really hot most times. Siem Reap is a popular tourist attraction in Cambodia, much of its fame comes from the world heritage site of Angkor Wat. Despite the commercialism, Siem Reap still maintains old French colonial architecture and preserves their Khmer culture and traditions through the colonial buildings in the Old French Quarter, museums, traditional Apsara dance performances and handicrafts. 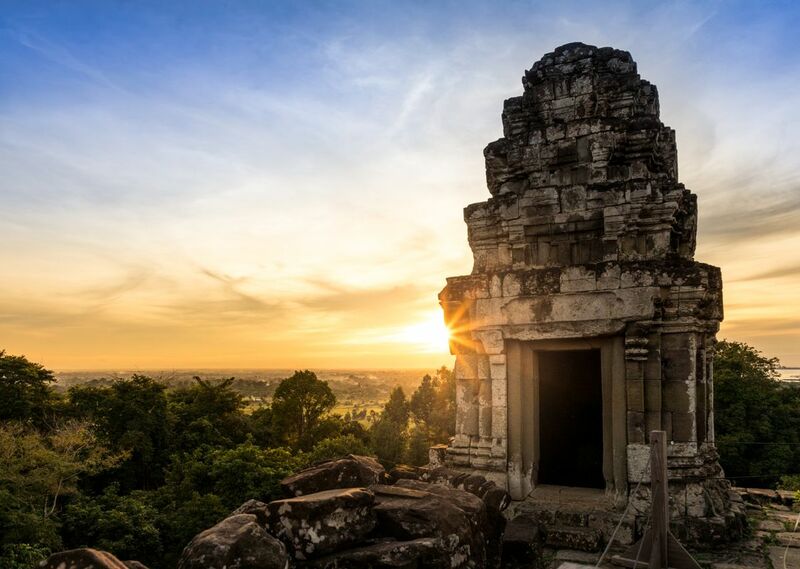 Discerning travellers are now exploring, not only the ancient ruins of Angkor Wat and Bayon, but other Khmer ruins located slightly off-the-tourist trail.